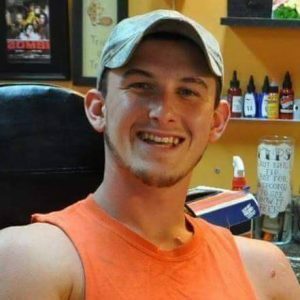 Christopher “Critter” Scott -Smith was a lifelong athlete who lost his battle with addiction on Oct. 2, 2014 at the age of 21. Shortly after his overdose death, a small group of his family and friends founded the nonprofit organization, Critter’s Crusade, in White River Junction. “Critter’s Crusade began with the mission to raise addiction awareness and reduce the stigma associated with addiction, but we also knew we wanted to help people in recovery,” says Critter’s Mom, Chrissy Scott-Smith, the organization’s co-founder. As non-professionals in the field, and as a small non-profit with limited funding, the group wasn’t certain where to focus their efforts until Alannah Ojibway, a UVAC trainer, approached them with the idea of starting a fitness program to aid individuals in their recovery journeys. From the beginning of their partnership, the Upper Valley Aquatic Center has worked with Critter’s Crusade to develop a program that is practicable for participants and is also cost-effective: “UVAC provides personalized training to ensure participants are comfortable, safe, and successful while offering us steeply discounted rates to help as many people as possible,” Chrissy says. To date, 18 people have taken part in the program through three sessions, and Critter’s Crusade recently revised its format to accept applicants on a rolling basis rather than through set sessions. Jenn Bartleman couldn’t agree more. Her addiction counselor had suggested she join a gym, but Jenn didn’t know where to begin until she reached out to Critter’s Crusade. Interested in enrolling in Critter’s Crusade’s Conquering Addiction Fitness Program? The sole fundraiser for The Conquering Addiction Fitness Fund, this timed fun run/jog/walk/wheelchair/adaptive bike event is fun and suitable for all ages and abilities. Businesses interested in sponsoring can email critterscrusade@critterscrusade.org or call 802-295-2222. Critter’s Crusade participates in several other community activities throughout the year. Coming up, they’ll attend an Overdose Awareness Candlelight Vigil on August 31st. Critter’s Crusade’s smaller fundraisers go towards hosting free activities for people in recovery (such as Sober Paint Nights and Recovery Hikes) in a fun, stress-free/substance-free atmosphere.